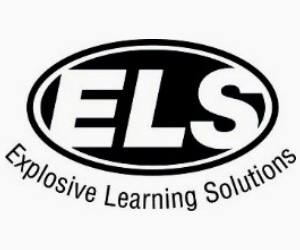 Explosive Learning Solutions Ltd is a specialist Learning and Development Consultancy with extensive and measurable experience in the Public, WOME and Private Sectors. ELS is also an Accredited Training Provider for a series of National and International recognised Awarding Bodies delivering certified courses to high quality and exacting standards. ELS delivers innovative learning, professional development and training design consultancy services by applying a Systematic Approach to Training (SAT) methodology within the Needs Analysis process’ spanning a wide range of subject areas and disciplines. Our core consultancy service focuses on the organisational needs and objects ensuring all interventions designed are in line with the business goals, are efficient, robust and sustainable. ELS is an Accredited Training Organisation (ATO) for the City and Guilds of London Institute (C&G), Association Project Managers Group (APMG) and the Institute of Leadership and Management (ILM). We deliver the following Certified courses: PRINCE2, Managing Successful Programmes (MSP), Management of Risk (M_o_R), Change Management™, Contract and Commercial Management, Lean Six Sigma™, Leadership and Management, Education and Training to name but a few.